One speaker mentioned something that really stuck in my mind. In this passage, God doesn’t tell His people to be just, merciful, and humble. He uses specific verbs instructing us to act, love, and walk in certain ways. This passage is focused on actions that come from developing God’s character. 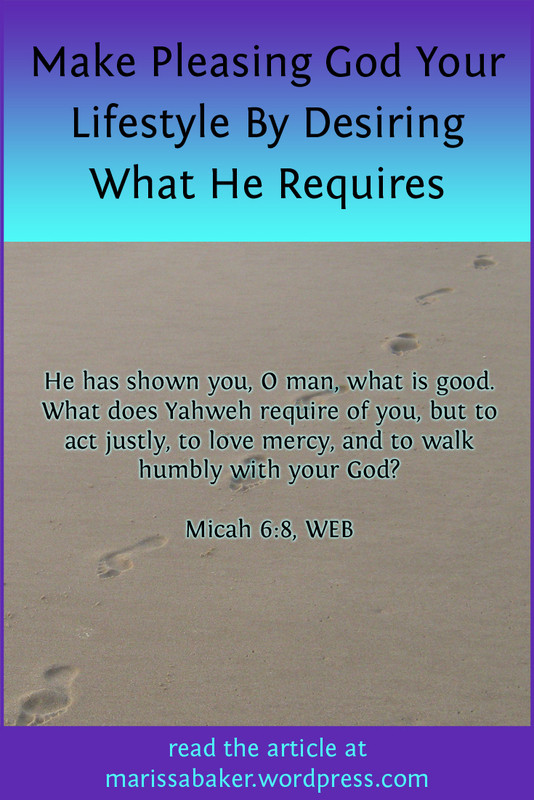 It goes beyond being like God to actively walking with Him. And though it doesn’t say so here, this should be something that we want to do rather than something we do just because it’s a requirement. God has always been concerned with the state of our hearts and the motives behind why we follow Him. We please Him when we do what He requires willingly and desire the same things He does. Matthew Henry’s and Adam Clarke’s commentaries says that to do or act justly means “to give to all their due.” Giving everyone what they are “due” from us includes giving God all our hearts, minds, souls, and strength, treating our neighbors as we would like to be treated, and also treating ourselves the way God intends. If you’re a Christian, it’s a good bet you’ve read and/or heard the Sermon on the Mount more than once. And if you’re like me, you probably think you’re pretty familiar with this straight-forward message Jesus delivered during His time here on earth. But in a sermon a few weeks back, the speaker said something that prompted me to take a deeper look. I hadn’t thought before about what a radical message this must have seemed when first preached. Matthew even tells us people who heard Jesus were “astonished at his doctrine” (Matt. 7:28, KJV). Throughout Jesus’ words a message is woven that tells us our human way of looking at things is wrong. Something that makes no sense to us might be exactly what God is looking for, and the things we’d consider reasonable might not be what He wants at all. This sermon is about showing us a new way of thinking and living. When Jesus delivered the Sermon on the Mount, He began at what we now call the Beatitudes. He says, “Blessed are” the sort of people who probably don’t feel all that blessed — those who are poor, mourning, meek, hungry and thirsty for righteousness, merciful, pure in heart, peacemakers, persecuted, and reviled. We don’t like being poor, or in grief, or humble enough to put others first, or attacked by the people around us. It’s hard work being a peacemaker, or showing mercy, or staying pure of heart, or constantly yearning to get closer to God’s righteousness. It’s interesting that two of the beatitudes mention righteousness: “Blessed are they which do hunger and thirst after righteousness” and “Blessed are they which are persecuted for righteousness’ sake” (Matt. 5:6, 10, KJV). This word refers to “the condition acceptable to God” and/or “the doctrine concerning the way which man may attain a state of approval by God” (Thayer’s G1343, dikaiosune). It relates to our state of being and the way we live. In fact, when you think about it, all the beatitudes relate to something we do and/or become as we follow God. There’s more than one word that could be translated from Greek as “poor.” This one means “reduced to beggary” and “lacking anything” (Thayer’s G4434, ptochos). 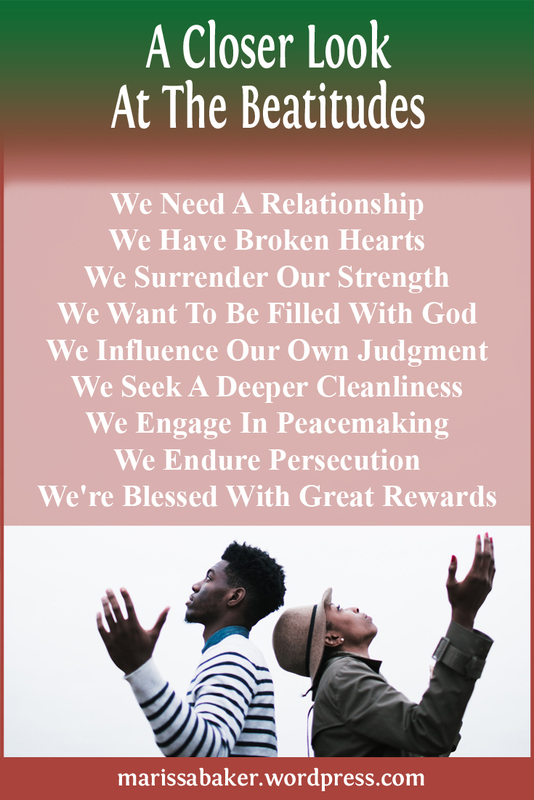 When we’re like that in our spirits, we’re really in a place to recognize how much we need a relationship with the Father and Jesus. We become the sort of person the Lord is talking about when He says, “to this man will I look, even to he who is poor and of a contrite spirit, and who trembles at my word” (Is. 66:2, WEB). Our society idolizes tolerance. We’re “supposed” to understand the other’s point of view, support them in living however they want, and admit they’re no less “right” than we are. From a Christian’s perspective, though, today’s ideas of tolerance look more like an attack on objective morality. People who disagree with you don’t just want you to tolerate them; they want you to agree with them. And in many cases they’re not willing to extend even tolerance back to you, much less agreement. There are two extreme reactions Christians might have when faced with a society like ours: 1) go along with society or 2) start attacking people we don’t agree with. But neither of those options is the best one. 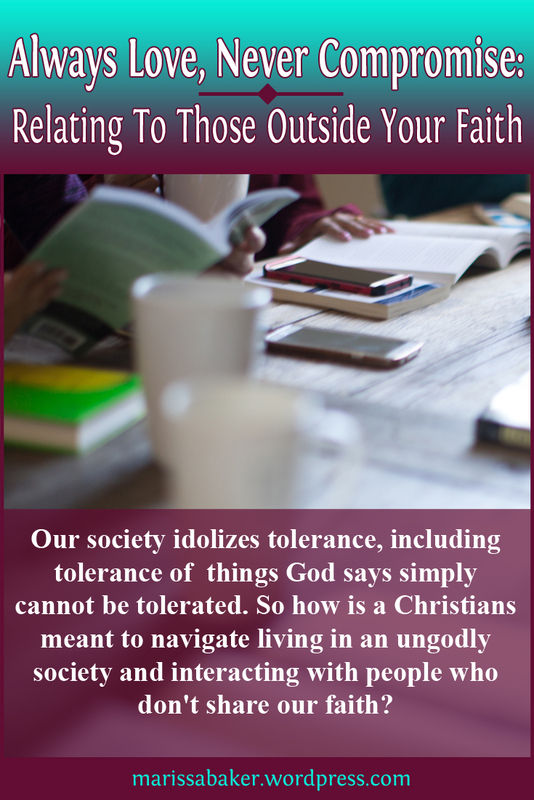 Better to ask, “Does the Bible offer any guidelines for Christians navigating such as society?” People of God have always had to interact with people outside their faith, and scripture does provide guidelines for how we can approach such relationships. This first guideline has nothing to do with accepting the wrong things we see ungodly people doing. We can make moral decisions about another person’s actions (e.g. 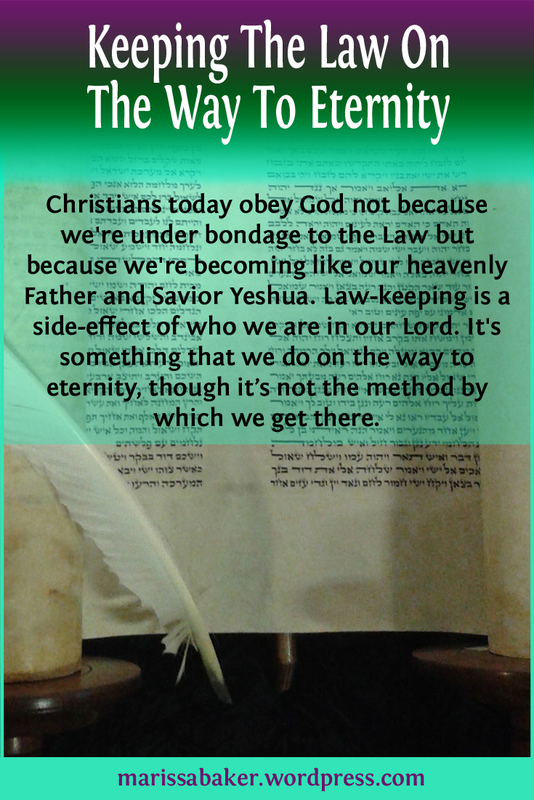 discern between right and wrong) and in the appropriate context tell them they’re not lining up with God’s law (e.g. preach the gospel and call for repentance). But to pronounce a sentence on someone and condemn them is not our right. In the verses leading up to these, Paul has been talking about the need for Christians to exercise sound judgement within the church. He’s giving them a directive to put out of the church people who say they follow God yet flagrantly and unrepentantly practice sin. In contrast to that, he tells us it’s not our responsibility to do the same to people outside the church. We can’t condemn non-Christians for not acting like Christians. God’s the one who gets final say on their lives. 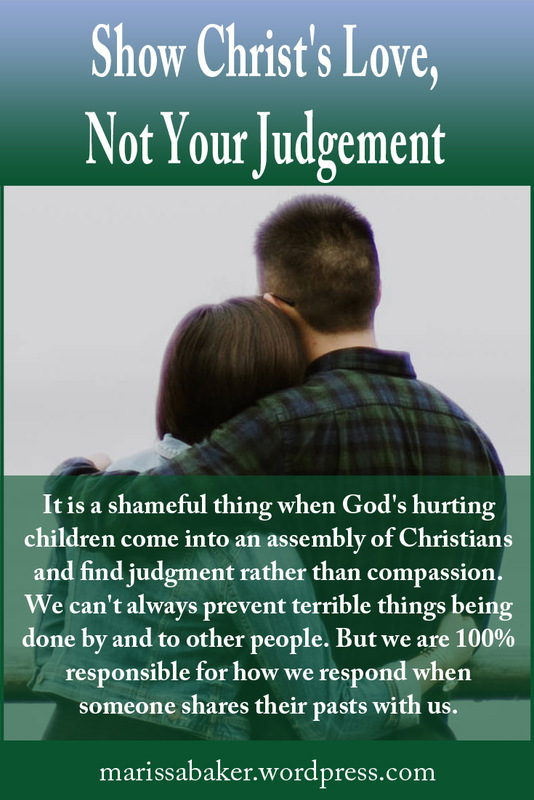 Without going into too much detail, I’ve recently heard from more than one person who is a Christian and has sexual abuse in their pasts. They’ve reached out in response to my request for different Myers-Briggs types to talk about their faith. As heartbreaking as it is to hear about the terrible things their abusers did, it’s equally heartbreaking to hear how the church has responded. That sort of things should never happen in the household of God. We can’t always prevent terrible things being done by and to other people. But we are 100% responsible for how we respond when someone shares their pasts with us. In his epistle, James tells the church not to judge others for the way they look. You should be just as welcoming and loving to the “poor man in filthy clothing” as to the “man with a gold ring, in fine clothing” (James 2:2, WEB). But do you really think this only applies to peoples’ outer appearance?